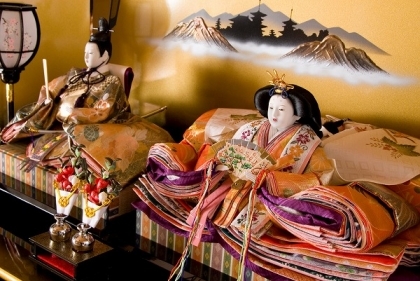 Hinamatsuri (雛祭り) is a Japanese doll festival. 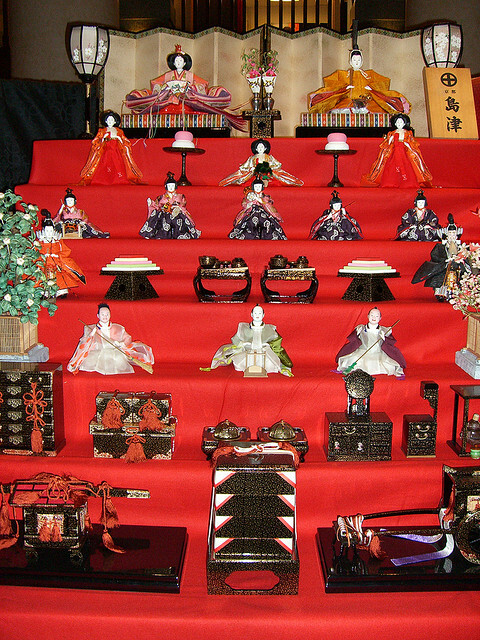 It is held on March 3rd, and families with little daughters celebrate the day by displaying "hina" dolls in ancient court dress of the Heian period on a stepped shelf covered with red cloth. They sincerely wish good health and a blessed life for their growing daughters. 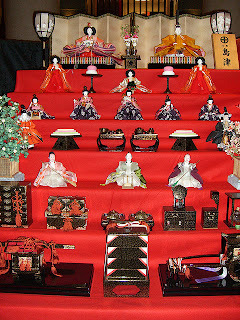 A set of those ornamental dolls are arranged on a five or seven-tiered stand covered with a red carpet. At the top are the Emperor and Empress. The next step contains court ladies, followed by five musicians, two ministers, and three servants.. There are also customary foods. Hinaarare (雛あられ), a colored , bite-sized rice crackers flavored with sugar, is a traditional snack on Hinamatsuri. 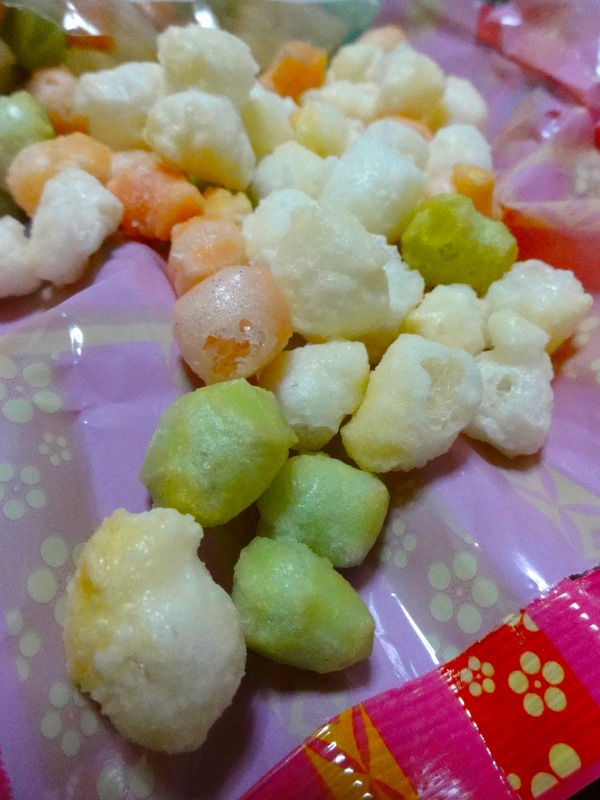 Also, Chirashizushi (ちらし寿司) is often eaten. 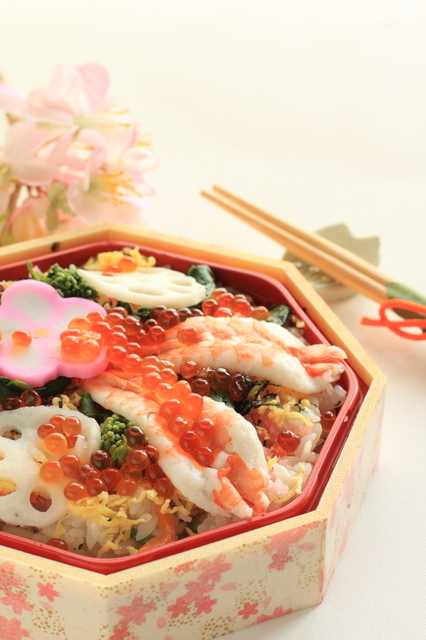 It consists of sushi rice flavored with sugar, vinegar, topped with eggs, shrimp, and a variety of ingredients. Hinamatsuri is very important for families with daughters. However, it is said if families do not put away the hina dolls quickly after the festival, then she will not get married for a long time.